Two energy giants have helped prop the military junta in Myanmar, said a report by Earth Rights International, a human rights group. French firm Total and US major Chevron, who have been exploiting Myanmar's Yadana gas field since 1998, generated US $5 billion for the junta. The revenue was kept out of the national budget and deposited in Singapore banks, the report claims. The money helped the regime disregard sanctions--levied by the US, the EU and other countries because of human rights abuses--and stay in power. 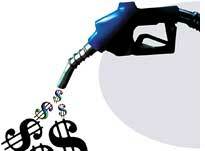 The companies have been able to operate as the sanctions do not apply to petroleum products. The group also reported forceful land acquisition, forced labour and killings by the energy companies' security. Total and Chevron have dismissed the report. The junta has been ruling Myanmar following a military coup in 1962. 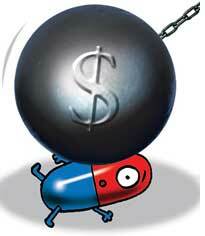 The world's biggest drug maker Pfizer was fined for fraudulent marketing. In an out-of-court settlement, it agreed to pay US $2.3 billion for misbranding medicines and for paying kickbacks to compliant doctors. Whistle-blower lawsuits had alleged the company promoted off-label uses of arthritis medication Bextra, anti-psychotic drug Geodon, antibiotic Zyvox and anti-epileptic drug Lyrica between 2001 and 2008. It used tactics such as false peer-reviewed articles for pushing the drugs. Pfizer has pleaded guilty only to misbranding Bextra, which it marketed as a painkiller without the approval of the US Food and Drug Administration; Bextra was withdrawn from the market in 2004. It is the largest healthcare fraud settlement in US history. Oil-rich Qatar has launched a venture to invest in food production worldwide. Unlike most of its Gulf Arab peers that are rushing to lease large tracts of farmlands in least developed countries, Qatar Investment Authority, the state-owned investment fund, has announced plans to acquire and develop existing agribusiness companies across the world. It has apportioned US $500 million and is in talks with firms in Argentina and Brazil. 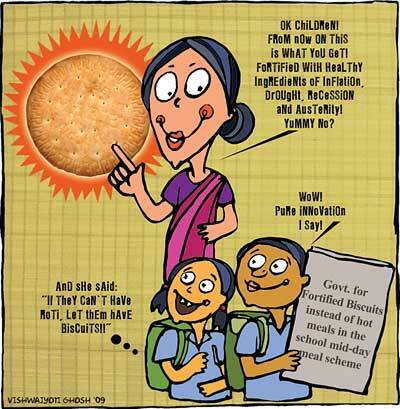 The venture is part of the government's strategy to secure adequate supply of food at reasonable prices. Qatar, like other Gulf countries, depends on imported food for 95 per cent of its requirement. Sea levels rose two feet (61cm) along the US East Coast this summer. Unlike periodic sea level rise, which occurs due to the gravitational pull of astronomical bodies like the Moon and lasts a few days, the high sea levels along the US coast persisted through June and July. It also caused minor flooding in the region. To allay the fear of East Coast residents, the US National Oceanic and Atmospheric Administration quickly declared the high sea levels were not due to global warming. After month-long research, it has now zeroed in on two factors a weakened Gulf Stream and early autumn winds. The Gulf Stream is a powerful, warm Atlantic ocean current that originates in the Gulf of Mexico. As it flows northwards, the current pulls water away from the East Coast. This summer, for reasons unknown, the Gulf Stream slowed down, sending water coastward. To compound the situation, autumn winds from the northeastern Atlantic arrived a few months early pushing even more water coastward. They, however, failed to explain why the Gulf Stream slowed down or why the autumn winds arrived earlier. 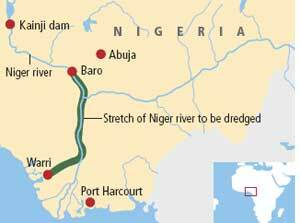 Nigeria has embarked on a massive operation to dredge River Niger, Africa's third longest river. The project would allow ships to sail till its interior villages and thereby boost economic activities of towns and villages along the river, said President Umaru Musa Yar'Adua. The US $233-million project would remove silt from 572km of the river, from Baro in central Nigeria to Warri in the Niger Delta, ensuring year-round navigability. The government has also started work on three inland ports to complement the project. Activists said the government has not carried out an environmental impact assessment. Dredging the river would allow saltwater from the Atlantic Ocean to penetrate the river, making its water as well as creeks in the region saline, they said. The project had been in the pipeline for four decades. President Nicolas Sarkozy has proposed a tax on carbon-emitting sources of energy such as oil, gas and coal. From next year, houses and businesses would be charged 17 (US $25) for each tonne of CO 2 emitted. The tax would not be applicable to heavy industries and power plants that are already included in the EU emissions trading scheme. The carbon tax will persuade people to change their habits and cut energy consumption, Sarkozy said. The move is expected to generate about US $6.3 billion annually. The revenue from the new tax would be returned to taxpayers through cuts in income tax. Critics say the tax is a ploy to boost ailing state finances. Sweden, Denmark, Norway and Finland have already imposed carbon tax, but France would be the largest European economy to follow suit. Beijing is mulling a plan to choke the global supply of 15 rare earth metals, such as lanthanum and neodymium critical for products like hybrid cars, laptop computers and iPod music players. With demand growing for the minerals to produce green and high-technology products, China's Ministry of Industry and Information Technology has proposed to slash its export quotas. Zhao Shuanglian, vice-chairperson of China's Inner Mongolia autonomous region, also said export limits would be used to boost prices of the rare earth metals and create a national reserve. Industries worldwide have been dreading such a move because China alone produces 95 per cent of the world's rare earth metals; 75 per cent of this comes from Inner Mongolia. Japan, the world's highest rare earth metals importer, is already relying on smuggled material to meet the demand. The World Bank will not invest in palm oil businesses until it develops measures to ensure that its funds are not used for causing social or environmental harm, World Bank President Robert Zoellick said in a letter to non-profits. A group of 19 environmental and indigenous rights bodies told the bank in 2007 that commercial production of palm oil caused large-scale destruction of forests in Indonesia, decimating wildlife and displacing forest communities. They had cited the practices of Wilmar Internati-onal, a plantation company, funded by the bank's private sector lender International Finance Corporation (ifc). Wilmar violated Indonesia's social and environmental laws, they alleged. ifc 's ombudsman conducted an audit following the complaints and found ifc allowed commerce to override environmental and social standards. Zoellick has also ordered ifc to review all existing palm oil projects. The Brazilian government has unveiled a plan to exploit its newly found oil reserves in the Atlantic Ocean that can transform it from a barely self-sufficient producer into a major exporter. With an estimated 50 billion barrels of crude, it will catapult the country to the eighth place in terms of crude reserve. The proposal, developed by President Luiz Inacio Lula da Silva, increases state control of oil, but allays industry fears that Brazil might go the Venezuelan way of extreme control by redrawing contracts. The reserves will be exploited under a shared-production regime that makes state-run Petrobras the exclusive operator and guarantees it at least 30 per cent stake in contracts awarded to private firms. Coinciding with the plan, Lula is also preparing to guard the oilfields one goal is completing the building of five submarines, including a nuclear sub. Analysts fear Lula might also reactivate its military industry with nearly US $30 billion of investment in rearmament. Conservationists released 400 baby sand lizards at five sites across England and Wales in an attempt to rescue the endangered reptile from extinction. Once a common sight in the UK, sand lizards have practically disappeared in the past two decades due to loss of its heath and sandy habitat. Conservat-ionists blame it on agricultural expansion and developmental works. Amphibian and Reptile Conservation bred the lizards in captivity. It plans further releases of lizards over the next few years.